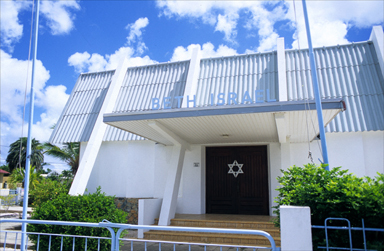 Aruba: Beth Israel Synagogue in Oranjestad serves Aruba's tiny Jewish community. PHOTO BY LARRY LUXNER. Copied with permission.